The Invitation – One story, five blogs, infinite paths, your choice. A choose-your-own blog collaboration. I can’t keep up with the whole internet (it turns out), so Bits Of The Month is an opportunity to share the best of what’s happened. This replaces the quarterly Neighbourhood Noticeboard. 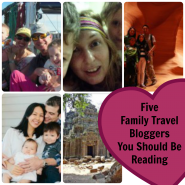 Bubs On The Move named me one of the Top Five Family Travel Bloggers You Should Be Reading – and I’m in good company. Traveller’s Tree named me in his Top Five Bloggers of 2014 (and compared me to Douglas Adams). Sue noted that I talk a lot and I’m totally counting it as an “award”. I was nominated for an Australian Writer’s Centre Best Australian Blog Award, 2014. I was nominated for a Liebster Award at The Blackberry Boys and Today Was A Fairy Tale. Two bloggers call me part of their WordPress Family: And Three To Go and The Blackberry Boys I was also nominated. Nominations for the Versatile Blogger Award came from Jadi Campbell and World Journeys. Cavegirl MBA nominated me for a Most Influential Blogger Award. Travelling Terri honoured me with the Very Inspiring Blogger Award. I was nominated for three awards at once by Tvor – The Best Moment Award, the Reader Appreciation Award and the Semper Fidelis Award. Vasudha Aggarwal nominated me for the One Lovely Blog Award. To contact me about blogging collaborations, email journeysofthefabulist@gmail.com or use one of these other options. If this is a commercial enquiry, you might want to read my review policy first.